The recent article about a 30 year old mother whose death was caused by too much Coca-Cola saddens me on so many levels. It is a tragedy for a woman in the prime of her life to leave behind eight children and a husband for any reason. It is disgusting that Coca-Cola is not admitting that 10 litres of Coke consumption per day could possibly be responsible for this young woman’s death. And it is also terribly sad that anyone could think that 10 litres of Coke consumption per day could possibly be healthy. Some people are calling for warning labels to be placed on food and beverage items to help prevent this kind of needless loss. Personally, I believe we need to take it back to the grass roots and start educating ourselves and our children about healthy eating. We live in a Western society that is rife with obesity, cardiovascular disease, diabetes, high blood pressure and cholesterol. We rely on “modern medicine” to save us with the “magic pill” (or should I say pills) as soon as thing start going pear-shaped. We pour bucket loads of money into researching new drugs, new surgeries and new treatments for these diseases, but we don’t stop for a moment, and look at education as a powerful tool for prevention! Every condition mentioned above can either be prevented, treated, or improved by a healthy lifestyle and educated food and beverage choices. Let’s stop focusing on treatment and start working on prevention! The drug companies don’t want this happening of course; without illness they have no income. They need to sell a pill to gain a buck. So prevention is in YOUR hands! It has to be up to the individual to start this huge ball rolling. • Keep it simple- you don’t have to create masterpieces with 100 ingredients to have a delicious meal e.g. steamed veggies with olive oil and garlic and grilled fish with pepper and lemon- Yum!! • Start from scratch- cook with whole foods, if you can’t identify what is was in nature, don’t eat it! • Listen to your body- symptoms such as headaches, nausea, vomiting, etc mean something is wrong. Your body is trying to tell you something. Go to your natural healthcare practitioner to gain insight. No matter where you are in life, you can always turn over a new leaf. You may need some help initially, but as soon as those lessons are learn, you can go on to spread the word and share your knowledge with others. Teach your children, your family, your friends. If enough people become aware and start caring about health, we can make some of the biggest, most amazing changes our world has ever seen! 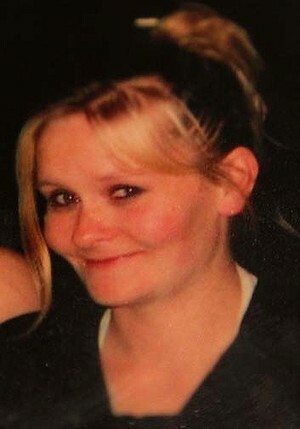 “Drinking too much Coke killed mother of eight Natasha Harris, a New Zealand coroner has found. Ms Harris drank up to 10 litres of Coke every day – equal to more than twice the recommended safe daily limit of caffeine and almost 1 kilogram of sugar. She died aged 30, on February 25, 2010, from a cardiac arrest. Her partner, Christopher Hodgkinson, found her seated on the toilet, slumped against the wall and gasping for air. Natasha Harris, who died in February 2010, after drinking up to 10 litres of Coke a day. 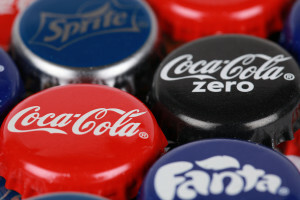 Coca-Cola has argued that the huge quantities of Coke drunk daily by Ms Harris day could not be proven to have contributed to her death. But in findings released on Tuesday, New Zealand coroner David Crerar said Ms Harris would not have died if it wasn’t for her dependence on Coke. Do you think junk-food needs to have warning labels? Is there enough education already about the health dangers of soft-drinks and junk-food? What a crazy story, and it is so true, there are so many foods on the supermarket shelf that have addiction potential. I’ve read a book on sugar that shows how addictive it is, so I won’t touch white sugar at all anymore. That’s great you’ve given up white sugar Jenny! That is one of the biggest addictions to quit so you’ve done really well getting off that! It’s a sneaky ingredient that seems to be in almost every packaged product these days. Keep it up and enjoy the health benefits! It is scary Kylie. I would like to think if this lady was my neighbour, my friend, employee, or whatever, I’d try and tell her what she was doing was dangerous. We’ve all got to look out for each other. Fructose sugar is the worst and Aspartame is in so many things. These two are the deadliest. We need to read labels. If we do not no what it is look it up. This alone is killing us/our children. Thanks for this candid post. I think everything that you mentioned here is common sense (it’s a pity that’s it’s not as common these days). The point about education is super important; I think there’s so much information out there on how to eat well. Most of us just choose to ignore it all. Thanks for pushing for awakening! This woman’s death is indeed sad and tragic. What makes it even more tragic is that she left behind eight children. It is hard to imagine someone drinking that much of anything in one day, especially a carbonated beverage, but addictions, regardless of what they are can be so powerful and difficult to overcome…even we know how bad they are for us. Thanks for sharing this article and bringing this issue to our attention, Rhianna. I would say that the lesson to learn here is to always make our own judgement and to impose a limit to our daily consumption on snacks and drinks that are not organically produced. It is sad to hear that Natasha’s addiction led to her losing her teeth and giving birth to a child without enamel.. Thanks again for bringing this to our attention and I hope that we will all learn from this. Previous post: 2013 Retreats Are Released!